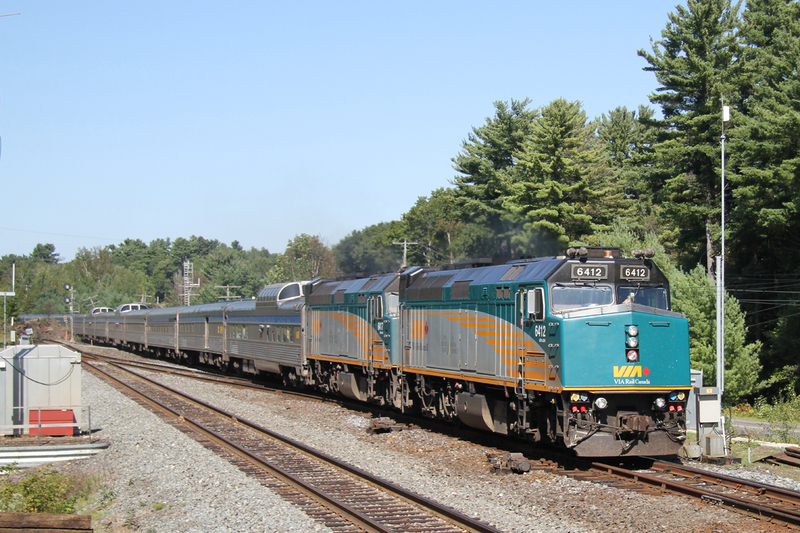 Railpictures.ca - Dave Burroughs Photo: VIA #2 makes a late appearance at 12:06pm on Sept 15, 2015. Scheduled through Parry Sound just after 4:00am, the Canadian is running about 8 hours late through Boyne at the lower end of the Directional Running Zone. (DRZ) | Railpictures.ca – Canadian Railway Photography – photographie ferroviaire Canadienne. This image has been paired with Arnold Mooney’s on the time machine! Great work!